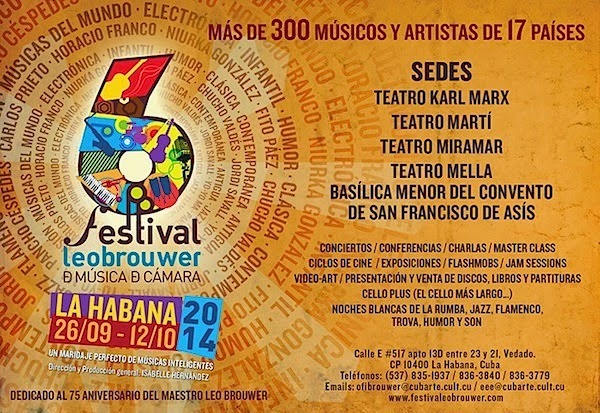 Isabelle Hernández, of the Office of Leo Brouwer, writes of the VI Leo Brouwer Festival of Chamber Music 2014, which will be held in Havana, Cuba from the 26th of September to the 12th of October. "A perfect marriage of intelligent music." More than 300 musicians and artists from 17 countries. 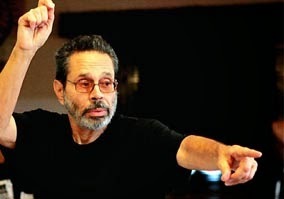 Dedicated to the 75th Anniversary of the Birth of Maestro Leo Brouwer.